This year’s GOTO Berlin conference was packed with a lot of motivational and interesting topics relating to leadership, mentorship, Serverless, machine learning and big data. I’ll try to condense my learnings in this article while providing a general overview of the talks I attended during the second day of the conference. I’ll add the links to the talks and encourage you to watch them to have a better understanding of the topics. N26, the company I work for, sponsored GOTO for the second time. This was the perfect opportunity for me to network, chat with customers, and engage with fellow developers and leaders of different sectors and company sizes. Most of them were curious about our work at N26, the way in which we are currently building a bank on the cloud with CI/CD and the challenges we face on a day to day basis. As a disclaimer, I’m a Senior software engineer, recently transitioning into a technical leadership role, so most of the talks I attended were either related to big data, leadership or backend services. This was without a doubt one of my favorite talks. Lynn Langit and Jessica Ellis presented their experience report on teaching kids computational thinking for the last decade. They started working on this initiative due to the serious underrepresentation of women in the tech industry. This led to their decision to start teaching programing at an early age. Since then, they have trained numerous teachers and students all around the world. As you can imagine, keeping children engaged and motivated is a challenging task. They wanted to have something that kids could play around with an immediate visual response. To do so, they developed a courseware for the teaching process, which is an adaptation of Logo written on Java. This library lets you draw objects by moving around the tortoise using commands. The course is split into recipes which teach computational thinking skills. recipes are a set of instructions written in english, which should be translated into code, once the student is done, s(he) can get an immediate visual validation on the task. They are looking for volunteers to help them expand the courseware further, so feel free to contribute on their github repository. Try to practice radical honesty towards yourself and towards others. It’s ok to be afraid to try something, failure is part of the learning path. Appreciation is a second salary, make sure you give it. Not everybody is manager material, some people would be amazing experts in their specifics fields instead of managers. You should not rush into a manager position just because it’s the next step of the ladder. Career should be defined more by results than by promotions. Career is not how many people you are managing but what your impact is in the organization. Talent is distributed equally but opportunities are not, you need to fight to keep yourself from unconscious biases. Women are measured by results, men are measured by their potential. Don’t worry about career path, find your own way to happiness and fulfillment. Philippe De Ryck, founder of Pragmatic Web Security, talks about access delegation standards. OAuth is a delegation framework that appears on the radar of security professionals and developers more and more every day. OAuth intersects with authentication and access control. e.g. Alex has a twitter account and wants to use a twitter management app. This third party app will need to act on behalf of Alex to post and read tweets from his/her behalf. Twitter will need to negotiate access with the third party application and ask Alex to grant access to his/her resources. In order to achieve this, there are two processes that need to happen. First, the user needs to grant access to the third party application- this is denominated “grant flow”. Once the user has granted access, the third party application will try to access the resources using the “access flow”. Once an application has been granted access to a resource, the authorization server will issue a token, which can be of two kinds: Reference tokens and Self contained tokens. Reference tokens are just a reference to the grants, the resource server can use this token to validate the operations that needs to be performed against the authentication server. Self contained tokens, on the other hand, work on their own, all the required metadata to authorize the request is already embedded on the tokens. You can find below a list of pros and cons to both approaches. Was the user actually present during the grant operation? How to get access to the user’s information? I encourage you to check out the full presentation here. Chris Munns, Principal Developer Advocate for Serverless at Amazon Web Services, talks about their predictions for application development base on technology trends they see getting adopted by customer on the famous cloud platform AWS. For me, it was a huge to-do list for topics to read about. Good example of it is Starbucks, with the biggest mobile payment app in the world. Provides a tool box: Deployment tools, CI/CD, Monitoring, Logging, apm, Security, Auto-scaling and High availability. GraphQL is to the API, what SQL is to the database. With one single query you can build up all the require information for clients. Really powerful to replace ‘backend for frontends’. Because not everything can be learning and hard working, we took some time to celebrate at GOTO Berlin. 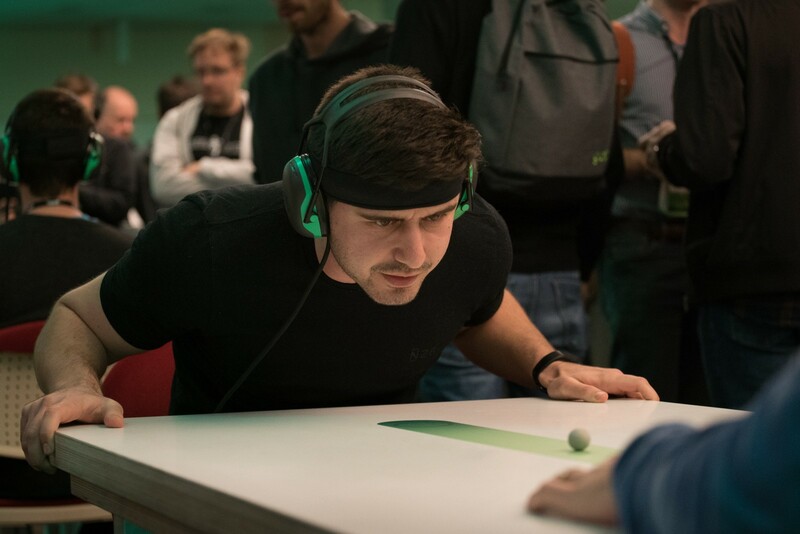 One of the most interesting things I saw was the mind balls: a game in which a brain sensor is strapped to your head and two participants need to move a ball across the field to win the game. The more concentrated you are, the faster the ball move to the opponent’s place. All in all, it was tons of fun. PS: yes, they are what you think, insects. Follow us on LinkedIn and Twitter to keep updated and in touch with us! Software engineer @ N26, learning addict.